It’s natural to dream of marrying the love of your life in a beautiful setting. How about a garden by a river, around hills that are covered with slowly floating mist? 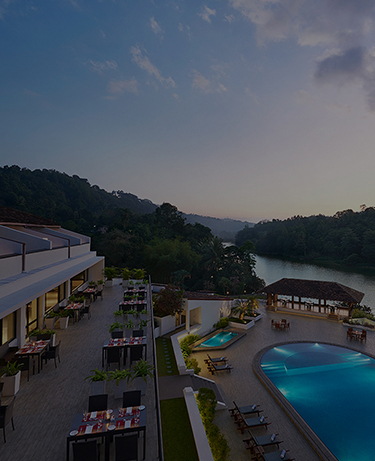 If this makes for a picture-perfect backdrop for your wedding, meet us at Cinnamon Citadel Kandy with your guests. An occasion so special deserves nothing less than a dreamy atmosphere. We, at Cinnamon Citadel Kandy, have the most picturesque location for your most important day. Promise togetherness at the garden that overlooks the gorgeous Mahaweli river and lose yourself to the romantic ambience. Host your Poruwwa ceremony amidst our romantic ambience by a river. Trust us to capture its warmth and hand it over to you in beautiful photographs and a video. Feel the magnificent hills and the flowing river mark your special day with glorious might and rhythm. Our exquisite floral décor will make it even more beautiful.